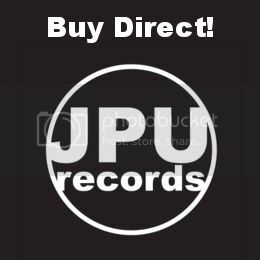 May | Japan Underground | JPU Records Ltd. 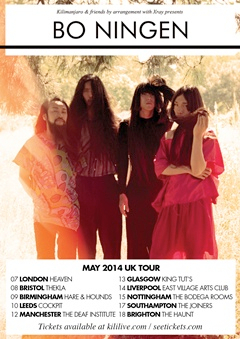 Acid rockers Bo Ningen have announced that their third album is on the way this May, and to celebrate the currently untitled collection of new psychedelic tunes, the quartet will embark on a ten date tour of the UK. 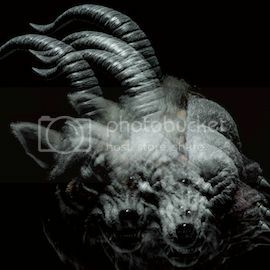 The new album will be release through their British label Stolen Recordings, while their new single DaDaDa is receiving a limited vinyl run from New York’s No Recordings. Tickets for the tour are available now by clicking here. Check out this ace live video of them doing their thing, in a Church. Yeah.